To me, pearl is the best light reflecting tool. When you don’t have a good sleep the night before, remember to grab a strand or two of pearl necklaces and layer them on yourself. It surely helps light up your complexion and soften your dark circles under your eyes. 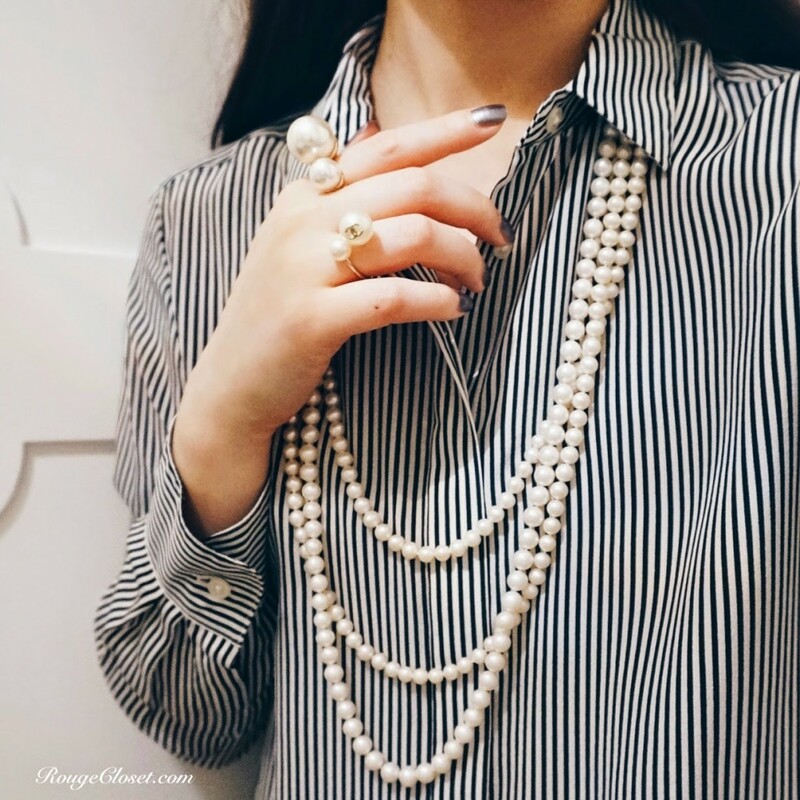 Since pearl itself is very elegant, instead of wearing them on top of elegant dress, sometimes I love to wear it with casual tee, mannish shirt or even to create some sport luxe outfits. The unexpected contrasts are fun and chic. 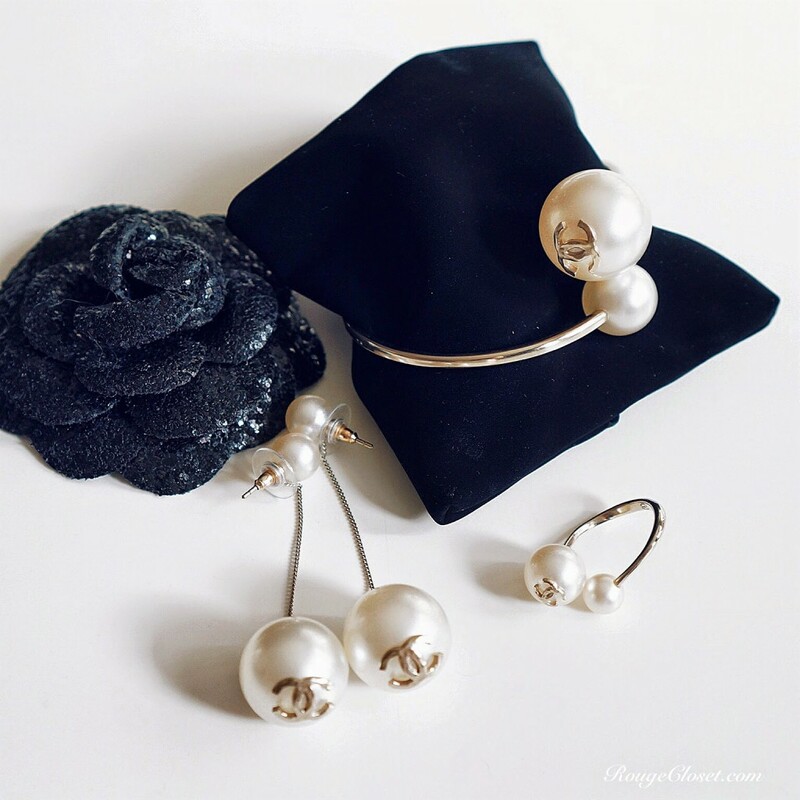 I love to collect different sizes, lengths or shapes of pearl, be it necklaces, earrings, rings, brooches or even hair accessories. No matter they are organic, genuine fresh water pearl, or costume jewellery glass pearl, if you find a good piece, keep it and carefully treat it. People says diamond is a girl’s best friend, and I would say pearl is my BFF. Just be creative on how to style them, they love you too.